The latest wave of diesel recalls will primarily affect Euro 5 Golf models, VW says. HANOVER -- Volkswagen Group has received regulatory approval for technical fixes on another 1 million diesel cars and expects the number to keep growing, CEO Matthias Mueller said today. 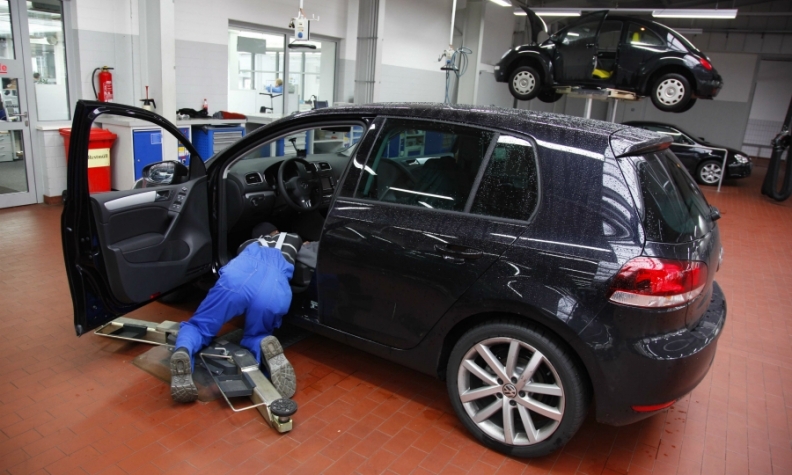 Germany's motor vehicle authority KBA has so far approved technical solutions on more than 3.7 million group vehicles, the CEO said at the annual shareholder meeting, including models from the VW, Audi, Skoda and Seat brands. "We expect the recall campaign to really pick up speed now. Tens of thousands of vehicle owners will be informed in the next weeks and asked to take their vehicles to the workshop," Mueller said. About 8.5 million VW Group cars fitted with type EA 189 Euro 5 diesel engines are affected by the emissions-cheating scandal in Europe from a total of about 11 million globally. The KBA approval covers approximately 1 million further vehicles - primarily Golf models - that will now join other group vehicles in the recall including the VW Passat, Tiguan and Caddy, other Golf variants, the Seat Exeo and the Skoda Superb plus various Audi models such as the A3, A4 and Q5. "Our customers can rest assured that we will continue to do our utmost to make every effort to execute the recall campaign as quickly, professionally and satisfactorily as possible," Mueller said. The CEO added that the automaker's "most important currency" was credibility and trust in the group's brands, products and "Volkswagen as a whole." He said VW now had to concentrate on regaining the trust lost as a result of the diesel-rigging issue.